HQ was tasked with redesigning School Improvement’s Edivate web app, a professional development platform for educators. Their existing product was flash-based, bloated and keeping their users from completing their goals. We worked with SINET’s internal product team to update their technologies, simplify information architecture and create a product that works for their users. As we spoke with SINET’s product team and industry experts we found that user’s biggest question was, “What’s next?”. Since educators were logging in only a couple of times a year, they we’re forgetting where they left off, rightfully so. To help jog their memory, we developed a widget system that tracks their progress and keeps them updated on the latest Edivate material. We designed a side by side note taking and video watching experience for our busy educators. 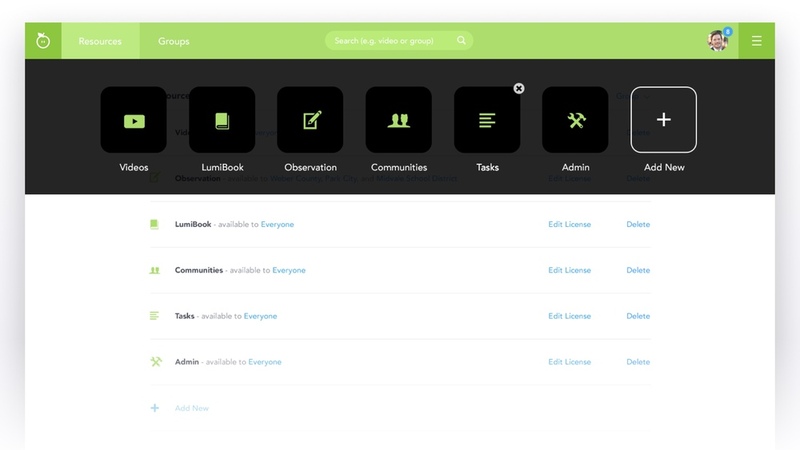 The goal of this design was to keep user’s in the Edivate platform and focused on their videos and quizzes. Redesigning SINET’s flagship product in collaboration with their awesome team was a pleasure. We hope this web application is something they can build upon and use as example for their future product line.